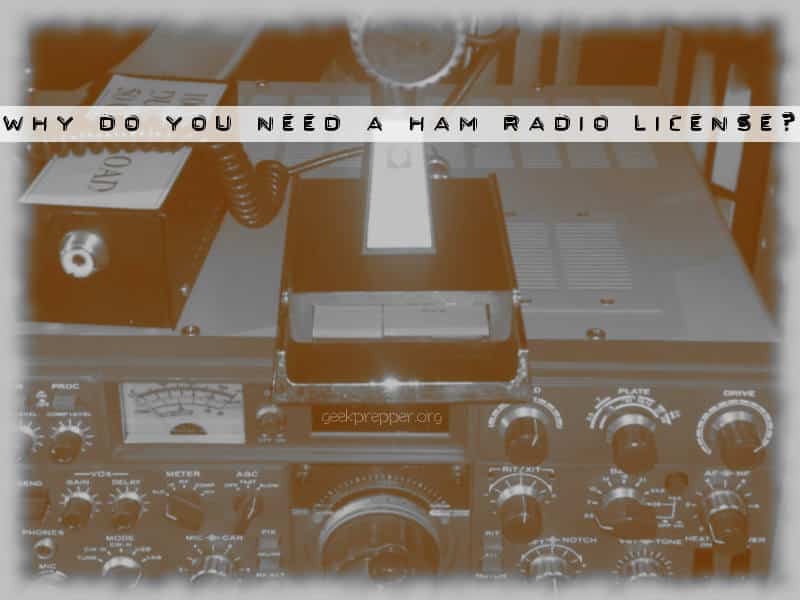 Home Communications Why Do You NEED a Ham Radio License? I’ve heard all the excuses from people who think they don’t need to get their Ham Radio License. Now see why they are wrong! I’ve heard so many people say “I won’t need a license after SHTF!” or “No one is going to be checking licenses after SHTF”. Ok. It’s probably true that no one is going to be coming around checking for valid amateur radio licenses. 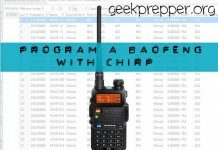 How are you going to practice operating ham radio without a license? Is your master plan to hold off on practicing any survival skills until after SHTF? Not driving until after SHTF. Not learning to shoot until after SHTF. Not storing food until after SHTF. Not putting together your bug out bag until after SHTF. Never having a fire drill with your family. Not putting on your seat belt until after you’ve had an accident. Not buying toilet paper until after you’ve pooped. 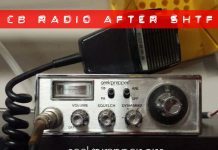 Listening to ham radio and communicating on ham radio are two very different things. You need to start working a radio now. I guarantee you that just because you can pick up a microphone and push a button this doesn’t mean that you will ever make contact with anyone. The only way to assure that you can make contact is practice, research and working with other experienced ham operators. It takes years to fine tune those skills and your gear to know the how and why of establishing communications. You spin the dial and home in on a voice. You push the transmit button and start shouting into the microphone. The voice on the other end keeps on talking. Did he hear you? Is he ignoring you? What is going on? Even when you do things right, sometimes the sun and atmosphere don’t cooperate. If this happens, do you have enough experience to know if it’s the conditions that are failing or if it’s your gear that is failing? Unless you’ve worked your gear and know how it behaves on each band, you are severely reducing your chances of post-SHTF contact. You may have the best radio that money can buy, and an awesome antenna, but that antenna may not work for you, might be positioned poorly or may need tuned properly so that it resonates on the current frequency that you are trying to transmit on. What if your rig dies and you have to go scrounge up another? Beggars can’t be choosers, so shopping around for an exact replacement won’t be very likely. Do you know how to use a hybrid rig, or a tube transceiver? Do you know how to dip a plate? I like my radio, but I’ll take a crappy ham radio and a good antenna over a great radio and a poor antenna any day. The antenna is the true key. There are hundreds of books on antennas and antenna theory. Maybe OpSec is important to you, or you might live in an area with an HOA or other restrictions against amateur radio antennas. I live in one of those very areas and I turned to a book, Stealth Amateur Radio: Operate From Anywhere, to help me work around those issues. My HOA and neighbors have no idea that I not only have a ham radio antenna, but I have multiple stealth antennas. It’s amazing where you can use and hide an end-fed antenna! How do you plan to power your radio after the grid is down? Maybe you plugged in your radio, to your solar battery bank and did some listening. Great. Now watch your power drain as you pump out 100watts of power, trying to transmit. How will you plan for the proper amount of stored power, if you don’t really know how much power your rig uses to communicate? The only way to truly get yourself fully immersed is to transmit and to receive, before it’s too late. This means that every day you procrastinate is one less day that you have to practice. Go take your ham test and get licensed so you can truly learn how things truly work. Unless you are one of those people who are waiting to drive until after SHTF, because no one will be checking for drivers licenses after SHTF. Sad, just sad. There are so many things to learn, and ham radio, while fun and rewarding, isn’t always easy. It seems like every time I have a handle on this hobby, I turn another page and find out something new. You could spend a lifetime trying to master ham radio, and never do it all. Thanks for a great article that is right-on. I’ve been a ham for 58 years and counting. I’d also like to make the case for CW (“Morse” code) operation. It may be a bit much for a lot of folks, but it can get through when nothing else can, even with very low powered transmitters (QRP). I have a little 5 Watt CW rig that can run from a set of AA cells for days and, when conditions are right, can communicate half way around the world. One advantage of CW is that most civilians don’t “speak” CW so it’s more secure. Great info. Seems there are a lot of pitfalls to Ham radio. I don’t know anyone who has a Ham setup, not sure what I could possibly get out of using one. I’m sorry but I truly don’t understand why you want to do this. Sounds like a hamm. Operator that thinks only they can use a radio.. if it’s a true emergency man made or not the FCC. (Yeah. The same people that gives out Ham license. .) States that anyone can transmit on Ham bands to help or request help for themselves or others. No license required. Now if you Hams choose not to help in a time of need. So be it. But I think any true Ham would. .
Quick…..calculate the length and construct an efficient wire antenna for 7.2 MHz in under 20 minutes when you have no access to the internet. Quick…..calculate what you can run from your 2 kw generator. Quick….calculate how long it will take for your solar cell to charge that battery. Quick….solder a PL-259 connector to RG-213 coax. Quick….predict what band of frequencies you would use to communicate with someone 500 miles away and at what time of day. Quick……connect a resonant counterpoise to eliminate RF feedback. Shall I go on? “…You spin the dial and home in on a voice. You push the transmit button and start shouting into the microphone. The voice on the other end keeps on talking. Contrary opinions smashed. And I’m not (yet) even a licensed ham.